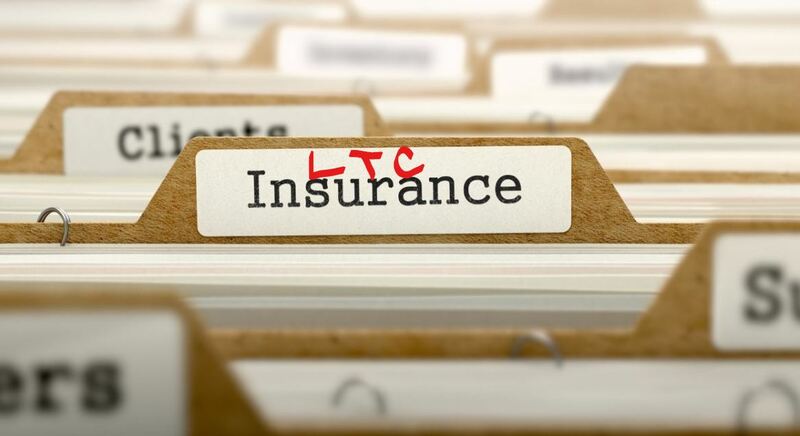 One of the complaints we hear from consumers and financial advisors alike is that long-term care insurance (LTCI) is just too complex. It is complex. Partly because it has its own set of acronyms meaningful to insurance types but mostly just confusing to consumers trying to understand the value and nuances of this insurance. For the past 16 years we’ve focused exclusively on long-term care expense planning. It involves understanding health, income, expenses, assets, risk, costs of care venues, insurance products, alternate funding options, contract provisions and more. So, yes, it can be complex. To simplify the process for clients, we’ve designed a three-step process. The first step is a detailed health history because it is health history that will determine insurability, carrier, product and ultimately the cost of the insurance or alternate funding option. The second step is an educational consultation. We think it is very important for clients to understand the issues surrounding long-term care and what insurance covers. The National Association of Insurance Commissioners has published a 76-page tutorial on the subject, A Shopper’s Guide to Long-Term Care Insurance. It’s good basic information. It’s also a requirement that the booklet be given to every consumer who is exploring long-term care insurance. To recognize the importance of planning for long-term care expense and support the financial advisors we work with and their clients, we are authoring a series of tutorials starting with key definitions. We’ve included examples and comments. Long-term care (LTC) is designed as custodial care. It is the assistance provided to someone who can no longer live independently. Services include assistance with physical activities of daily living which include bathing, dressing, eating, toileting, continence and transferring. Services also include supervision for those who are cognitively impaired. Long-term care services may be received in a range of venues including one’s own home, adult day care, assisted living community, memory community, nursing home and hospice. Services include care provided by medical professionals like doctors, nurses and therapist as well as personal care provided by health care aides. Medicare is designed as a curative or rehabilitative program. It covers hospitalization, doctor’s fees, lab services and drugs. This is health care versus long-term care for individuals 65 and older as well as those younger with disabilities and those with end stage kidney disease. Medicare has four components: Part A, Part B, Part C and Part D.
Part A covers inpatient hospital care, limited skilled nursing, hospice care and some intermittent home health care if housebound. Part B covers doctors’ services, outpatient care, lab fees, medical supplies and preventive services. Part C is a Medicare Advantage Plan. These are health plans offered by private companies that contract with Medicare to provide Part A and Part B services. Medicare Advantage plans may be offered as health maintenance organizations (HMOs), preferred provider organizations (PPOs), private fee-for-service plans and other plan designs. Part D adds prescription medications to Original Medicare and other plans. These plans are offered by insurance companies and other businesses approved by Medicare. The important fact to understand is that Medicare should not be considered a funding source for long-term care. Yes. It is true that Medicare may pay for some custodial care up to about 100 days but only if certain requirements are met. Among these requirements is being admitted to a hospital (not held for observation), a three-day stay and requiring skilled care daily provided by medical professionals, specifically doctors, nurses and therapists. What we have learned from claims history is that on average Medicare pays for about 25 days of custodial care. This is because most beneficiaries have improved after about 25 days so that they do not require skilled care every day. Medicaid is the government program that pays for long-term care for individuals who are low income. It is a means-tested program that requires an applicant to meet federal and state guidelines for income and assets. In most states, Medicaid pays for nursing home care only. In some states the Medicaid program will also pay for limited home care and community-based services. This trend is increasing as home and community services are less expensive than nursing home care. Not only does this save state Medicaid funds but allows the person needing care to remain at home or in the community. Resource reduction requirements vary by state and are different if a single individual or a married couple. Federal law requires states to recover the costs of the Medicaid benefits paid from the estate of the recipient or the spouse of the recipient upon his/her death. This is the amount of funding the insurance company will pay daily or monthly for services. We suggest that clients determine what their income will be between 80 and 85 years of age. This is when most long-term care insurance claims are filed. How much of their income could they afford (or be willing) to contribute to care expenses if they required care. If they could contribute 50% of income, it would be prudent to offset the remaining 50% to an insurance company. We provide information on the cost of care venues today and when clients will be 80 or older to help them determine insurance needs. The Benefit Amount and the Benefit Period are the two components that determine the total pool of funds available for LTC expenses. This is how long the insurance coverage will last. It may be a year to lifetime depending on the product and carrier. Some states mandate a specific minimum number of years. How long the insurance will last depends on how the pool of funds is used. For example, if you purchase a benefit amount of $100 per day and a benefit period of three years, the pool of funds without inflation would be $109,500 ($100 x 365 days x 3 years = $109,500). If the required care costs $100 per day, the pool of funds would be exhausted in three years. But if the required care costs $50 per day, the pool of funds could be stretched to six years. The level of care required and the cost of the care venue impact how long the insurance coverage will last. If on the other hand, if you purchase lifetime coverage, you will never run out of insurance coverage. This is the amount of days that the policyholder is responsible for care costs before insurance coverage begins. Think of this as you do a deductible on your health care or auto insurance. With LTCI this is expressed in days instead of dollars. Options include 0-days to 365 days. A longer elimination period reduces premium somewhat but increases the future out-of-pocket expense as the cost of care venues continue to increase year over year. In our experience, by the time clients call for assistance filing a claim, most have needed care for months. They want LTC benefits to start immediately, not in 90 days. Certainly not in 365 days. As a result of our experience helping clients file claims, we always design coverage with a 0-day home care elimination period when that option is available on a specific product. We do this for two reasons. One is that most claims begin with home care. The other is that we want insurance benefits to start as quickly as possible. This is an optional rider on policies. But we think it is important to address as a key component of LTCI for several reasons. One reason is that the inflation rider is the most costly component of LTC policies. It often is more expensive than the base policy. Another reason is that it enables the benefits of the policy to keep pace with the ever-increasing cost of care. Still another reason is that with traditional, standalone policies this is the key qualification for a Partnership policy. These policies provide extra protection of assets from Medicaid resource reduction requirements. Read more about facts, stats, optional riders, tax-qualified, Partnership, claims, funding options, risk and costs in our January 2018 News Brief. But visit our educational blog, www.LongTermCareInsuranceAmerica.com, for more information in the meantime. This is the time of year that we gather with friends and family to celebrate and renew relationships. It’s an opportunity to observe cognitive skills, physical functionality and talk about the importance of having a plan for long-term care. What to observe. It is a short list of noticeable changes or behaviors. How to deal with denial. How do you address the “it’ll never happen to me” comment? How to develop a plan. Where to start? Facts and stats that can support your conversation. We hope this may help you help those who may need your help the most. And if you have a long-term care insurance policy, take the opportunity to remind your loved ones that you have already given them a very meaningful gift. As 2017 comes to a close, we want to extend our personal wishes to you for an enjoyable holiday season, renewed prosperity and good health in the coming year. You remind us daily that the work we do has purpose.